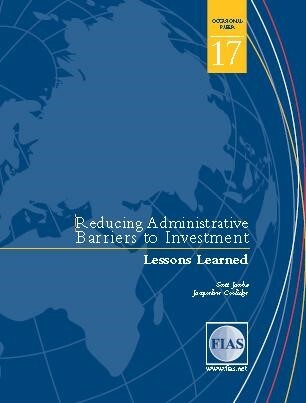 This report assesses the lessons learned in a decade of work by FIAS to help developing-country governments improve their investment climates by removing administrative barriers to investment. Such improvement has involved conducting diagnostic studies, designing solutions, developing mechanisms for public–private consultation, and implementing difficult reform programs. The final section of the report identifies these seven good practices for organizing and sustaining programs of reform.